Tiera wrote: Emails and classified information are one thing, but photos are something else. The source comes from a Finnish military discussion site, and these are screenshots from a short video - Sleksa is talking with the original poster to secure access to the video as well. This was an assembly of one of the proposed configurations for the mid-range FINMOD modernization with the common sideskirt placement on the vulnerable area on the front, as well as era armor in a fascinating pattern on the turret. Like Tiera said, these are stills from a video showcasing this particular configuration, and I'm in talks to get access to the videos themselves as well as videos from other configurations. What's modernized here, aside from the ERA? The sights appear to be vanilla T-72M1, also the presence of IR projectors is discouraging, as they are now a weak spot. I expected something like this as the Finmod light, tbh. HrcAk47 wrote: What's modernized here, aside from the ERA? Nothing is modernized. This was a testbed vehicle for seeing how era could be placed on the tank, henche why it looks incredibly weird compared to many other era-tiled t-72's. The cannon is also the new version of 2a46m and this is likely the testbed model that was spotted by T-55 matti conscripts, doing live fire testing in a same exercise area. Hawt, first public. Wonder what year this was when it was de-classified. Here's another interesting piece of the history of the Finnish prototypes: a joint Finnish-Israeli 122 mm SPG. The cannon is Tampella 122 K 60, mounted on a M4 Sherman chassis, photo taken from live fire trials in Israel. 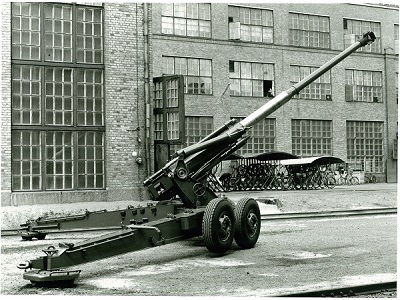 It was this cannon the Soltam M-68 and M-71 as well as the Tampella 155 K 83 (with the later Tampella guns, 130 K 90-60, 130 53 TK and 155 K 98) were based on. 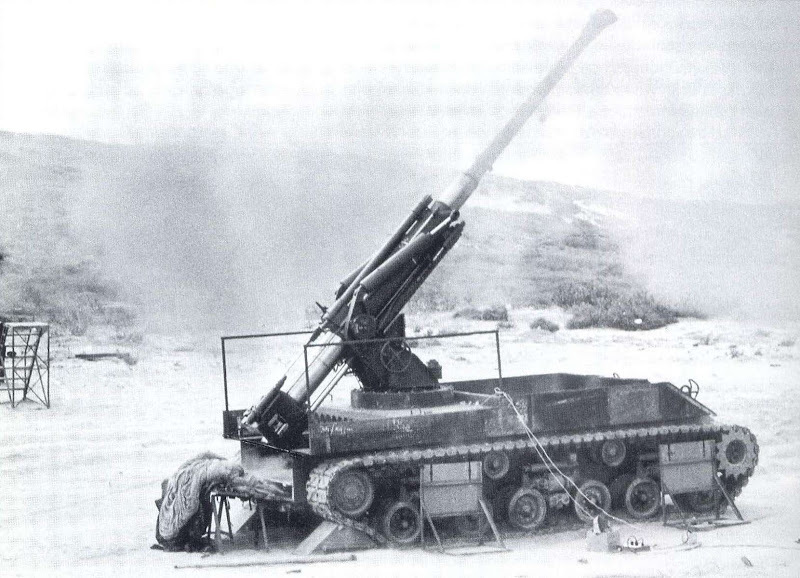 The 130 K 90-60 is a later refit of the old stock of the 122 K 60 with larger calibre barrels to fit the needs of the coastal artillery, which uses 130 mm shells. There were three levels of the studdied T-72M1 FINMOD, and the more advanced models were supposed to include everything which was in the economy upgrade (ie. the model that is known in the game as T-71M1PÄIV). This middle line upgrade, which this model in the pictures is supposed to portray, has also warning and concealment systems upgraded as well as the light ERA. Then there's the full upgrade which is in the game as T-72M1MOD, which then had the heavy armor and an even more advanced sensors system similar to the Merkavas of the time (the sensor suite for the full upgrade would indeed have been Israeli-made). I believe the video was set up at PVMOODLE (a platform for FDF to conscript and reservist communication and training) in 2015 at latest. It might have been public before too. The video itself isn't classified, as any classified material as in the 4-scale system is not authorised to be set on PVMOODLE. The original package, the DVD of armor and AT equipment and tactics, which contains the said video is TLL IV ("use restricted") though. Last edited by J0h1F on Thu 31 Aug 2017 20:39, edited 1 time in total. This middle line upgrade, which this model in the pictures is, has also warning and concealment systems upgraded as well as the light ERA. There appears to be no external upgrades other than ERA on this particular example. Besides, Sleksa also confirmed that this is just an ERA testbed. HrcAk47 wrote: There appears to be no external upgrades other than ERA on this particular example. Besides, Sleksa also confirmed that this is just an ERA testbed. Yeah, I meant it's the testbed for the light ERA meant for the proposed middle upgrade option (FINMOD-2). The final FINMOD-2 upgrade would have been as I wrote there on my post. The cannon is also the new version of 2a46m and this is likely the testbed model that was spotted by T-55 matti conscripts, doing live fire testing in a same exercise area. Was that the 2A46M-1 - what ammunition were they using, old stocks or something new? 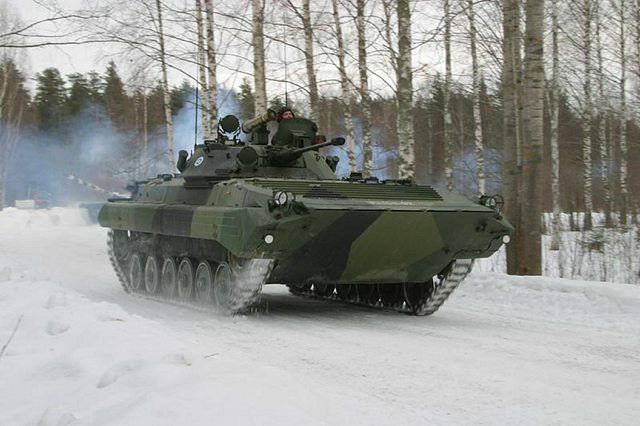 Here's a picture of a BMP-2 in Finnish service with the launcher for the 9M113 Konkurs (PSTOHJ 82M) missiles attached. On a reasonable number of the vehicles they were kept as long as the acquired missiles had shelf life left, and were scrapped just in the 2000's.